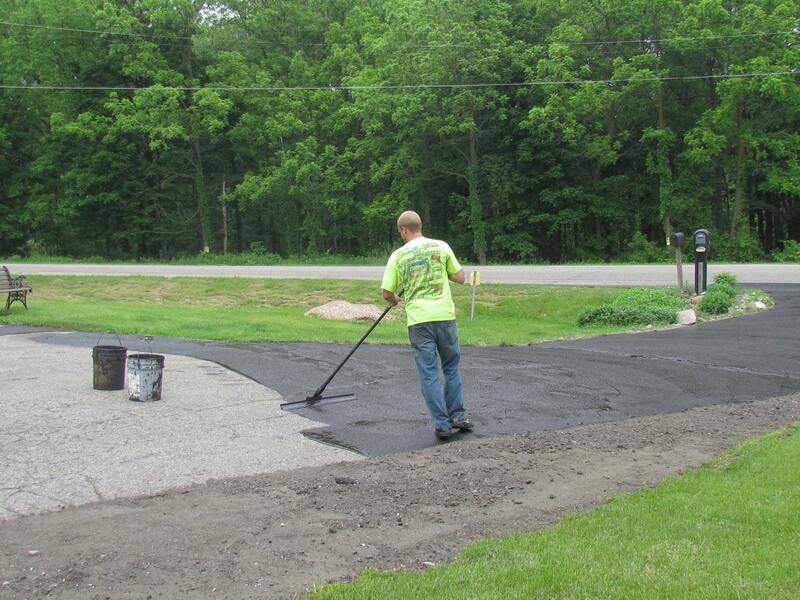 Your asphalt driveway or parking lot is an investment. Proper care can save thousands of dollars over the life of the surface. 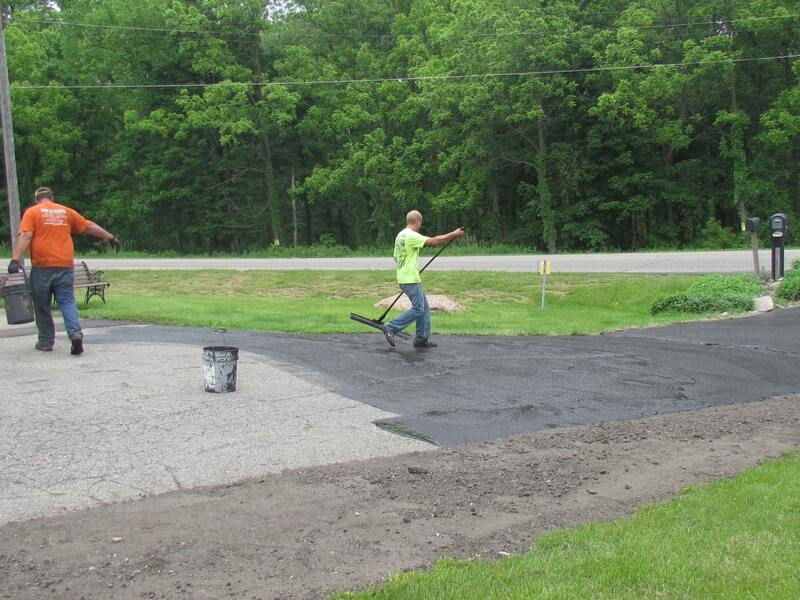 We offer complete services to make sure your asphalt lasts for years to come. 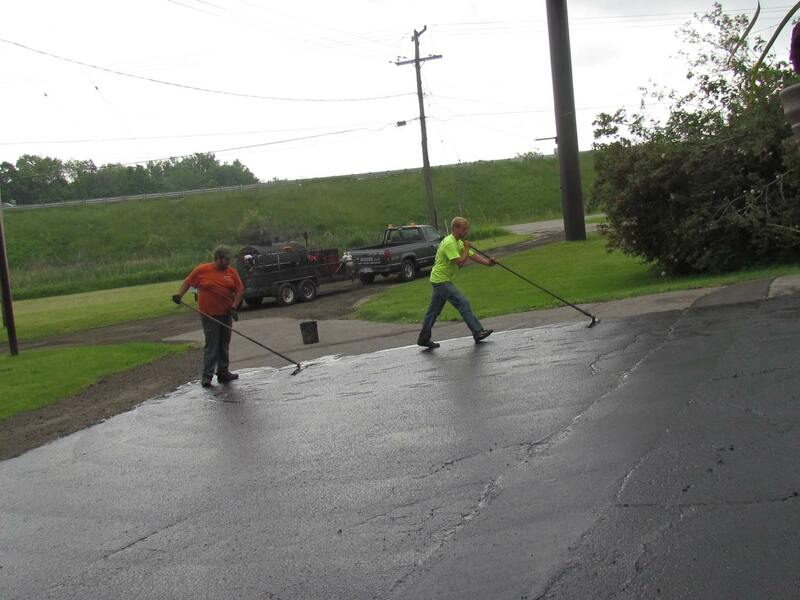 Seal coating protects asphalt from the elements. 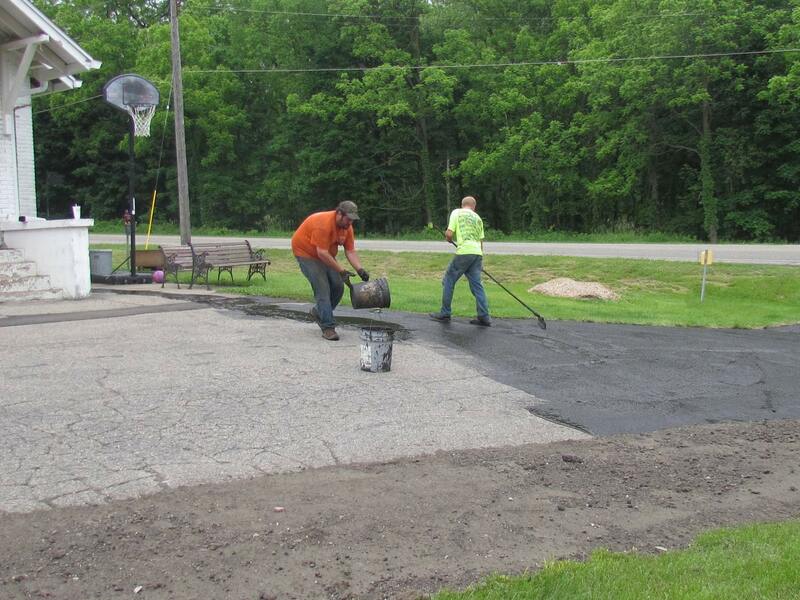 We use coal tar sealer, an environmentally friendly, asphalt-based pavement sealer that is fortified with coal tar for added fuel resistance and durability. Coal tar sealer is ideal for protecting all asphalt pavement services including parking lots, driveways, airports, shopping malls, roadways and more. 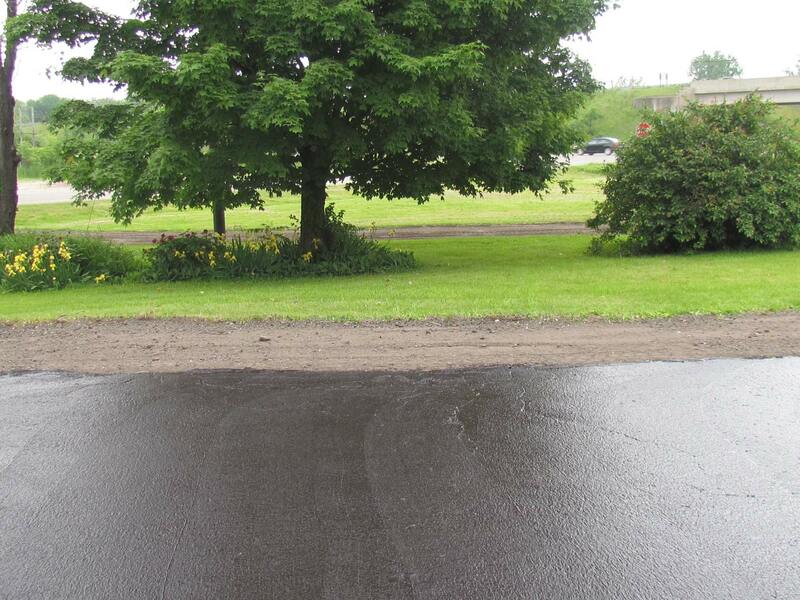 Drying to an attractive deep, rich black surface, coal tar sealer provides the advantages of both asphalt and coal tar in one product. 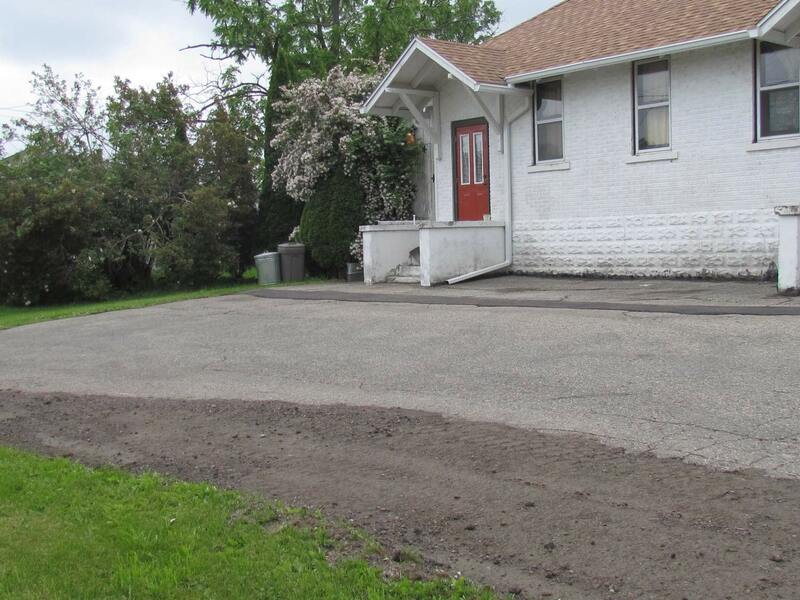 Our hot rubber crack fill services include power sweeping the area, spraying all cracks with weed killer and filling them with hot rubber crack filler. 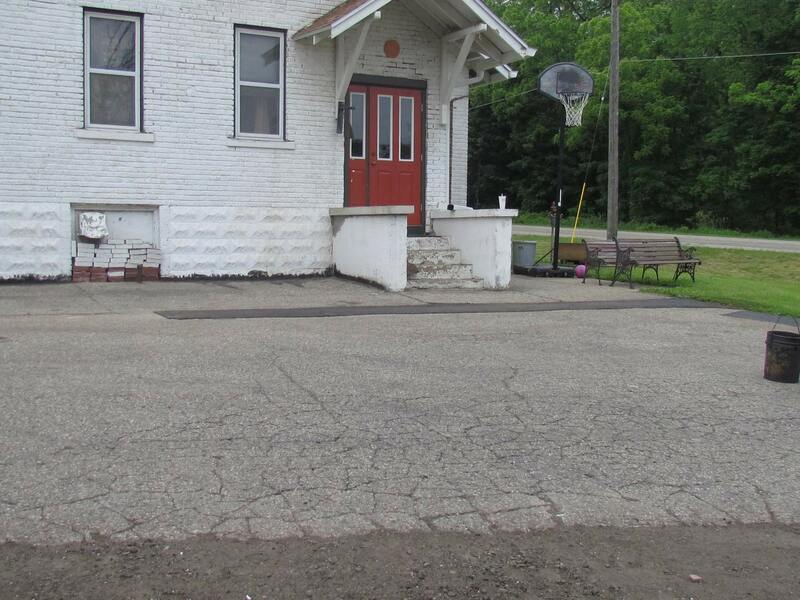 Especially important in Michigan’s cold climate, crack filling preserves the life of the asphalt. 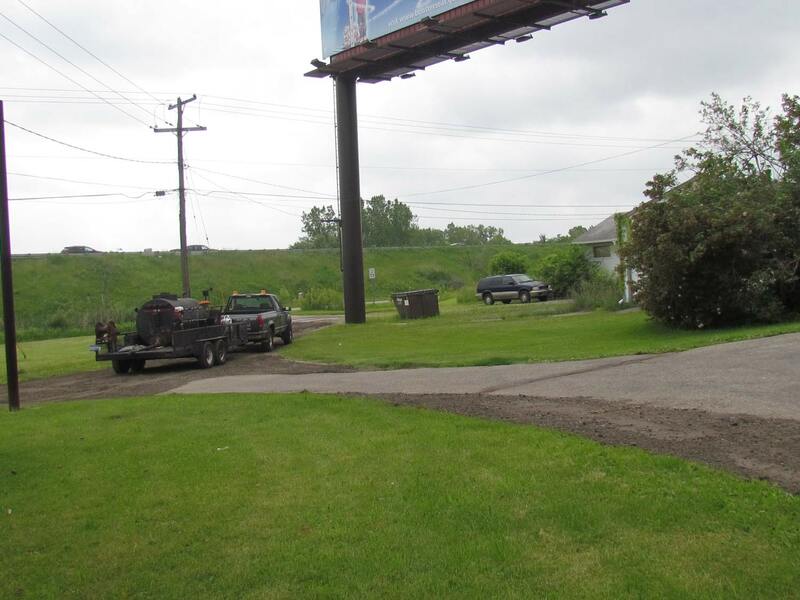 Patchwork can take many forms but you can rest assured that Eric Rogers, LLC, does not cut corners when it comes to repairing deteriorated areas in your parking lot or driveway. Our experienced crew can handle any job no matter how big or small. Holes in a parking lot, a dip between the driveway and garage, and crumbling curbs can all be fixed expertly and efficiently. All cracks are thoroughly cleaned of all vegetation and foreign matter with an industrial air compressor or power blower. The cracks are properly sealed using a double walled crack melter. This ensures that the rubber does not get hot spots or burn. We also agitate the rubber to prevent this also. When applying the 3405 MDOT spec rubber we use a bander. This method will leave ½ inch of rubber on either side of the crack for expanding and contracting. 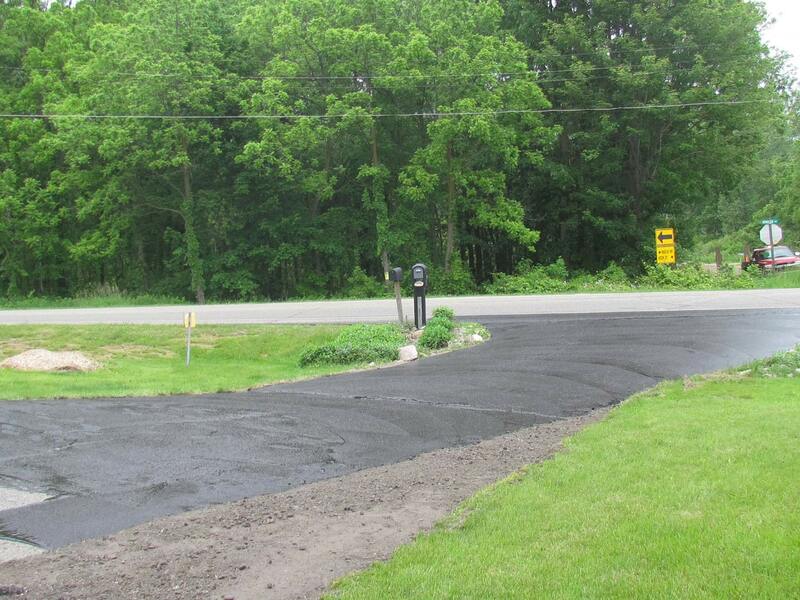 Crackfilling preserves the life of the asphalt as it prevents water from seeping into the subsoil. 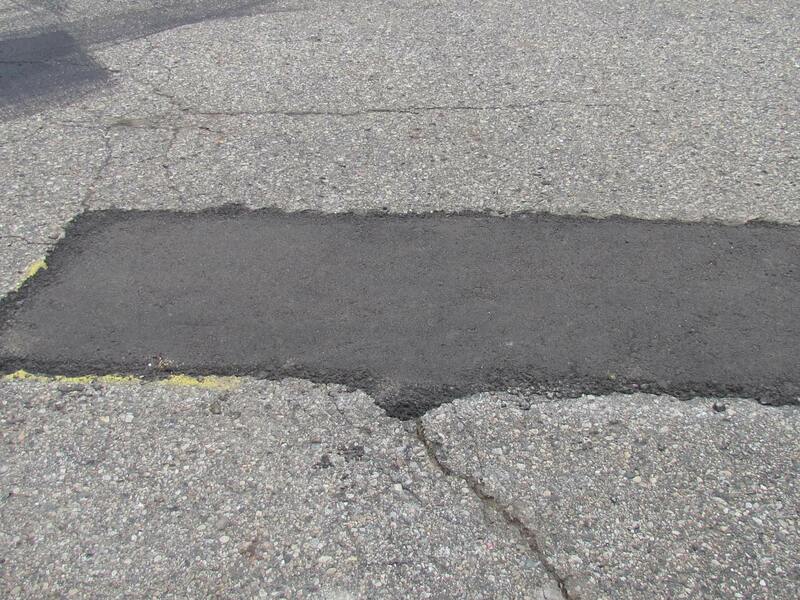 Patching is a common repair on areas of pavement with potholes. Potholes occur when water seeps into pavement through unsealed or improperly sealed cracks. When the water freezes, it expands and enlarges the crack. When the ice under the pavement melts, a void is left. Surrounding pavement falls into the void and forms a pothole. Potholes are repaired by either saw cutting and remove and/or cleaning out of all loose debris. It is then filled with 1100T hot asphalt. Both methods are compacted with either a 1 ½ ton roller or vibratory plate compactor. There is one thing for sure. You can take a perfect sealcoating project and completely ruin the appearance of the whole job with a sloppy striping job. Straight, crisp, clean lines are a must. Eric Rogers LLC use only high quality tough wearing Aexcel paints along with an airless striper. 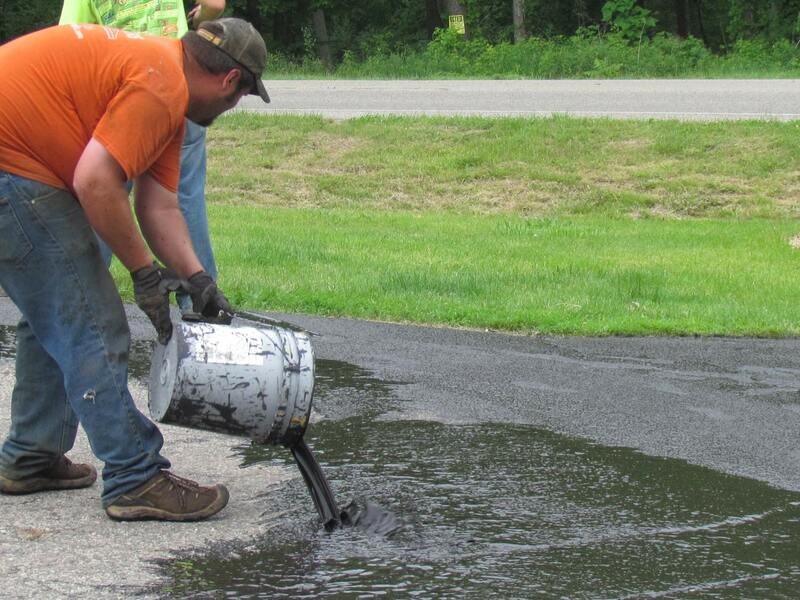 Sealer is applied at a rate of 44 sq ft. per gallon using 100% coal-tar emulsion. Silica sand is also added in for durability and to prevent slip and falls. Clean all surfaces of loose debris using a power broom and/or high power blower. 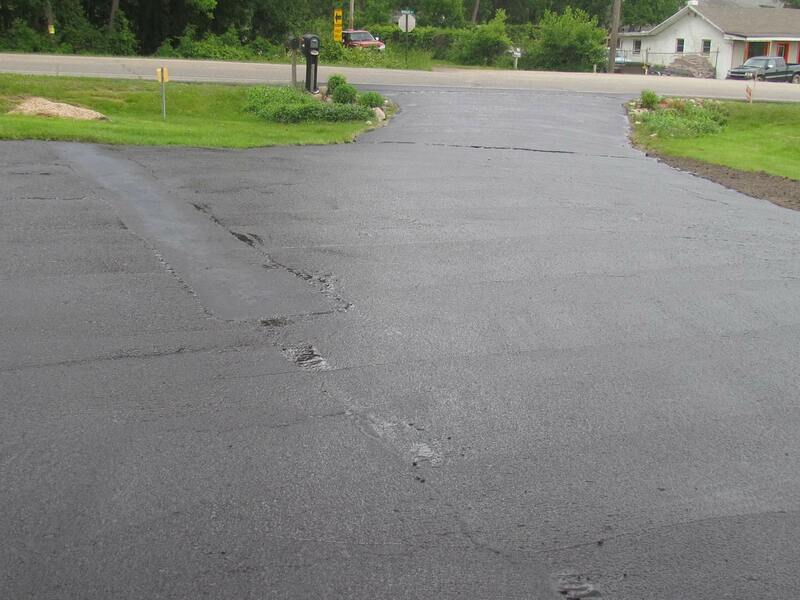 Clean designated cracks and fill with hot rubberized crack filler meeting MDOT spec 3405. If cracks are too deep they are filled with silica sand first and then blown out to a depth of ½ inch for the hot rubber to sit on the crack. Hot rubber is applied to the cracks using a banded method (1/2 inch either side of crack) to prevent water sitting on the crack area. Heavy silica sand (1-3 lbs.) and latex modifier may be added. This will greatly improve wear ability. Sealer of residential driveways is hand broom applied. Commercial properties also can be hand broom applied or sprayed. 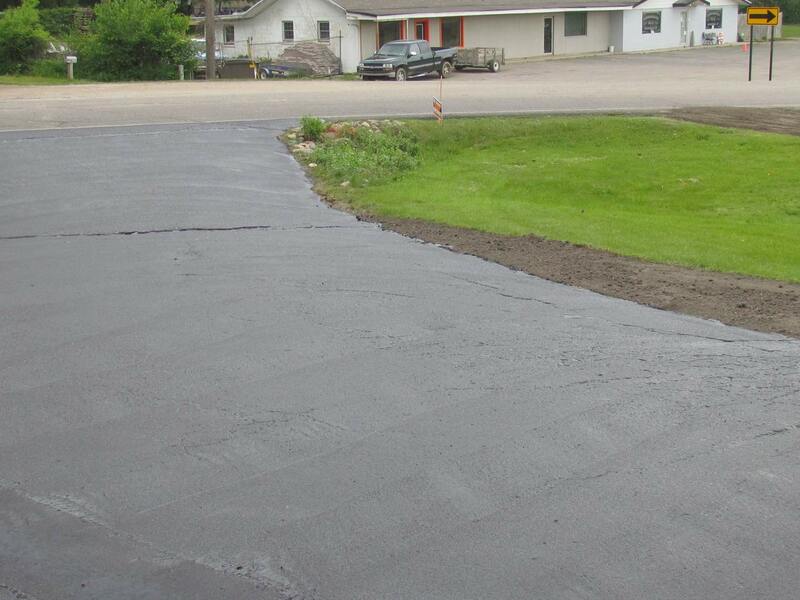 Traffic should be kept off a newly sealed driveway or parking lot for 24 hours. This allows optimum drying time. If this time frame is not met, the sealcoat could fail or not last as long as it should. If 24 hours is not an option, fast-dry can be added to meet all commercial and residential needs. What a difference sealcoating can make. 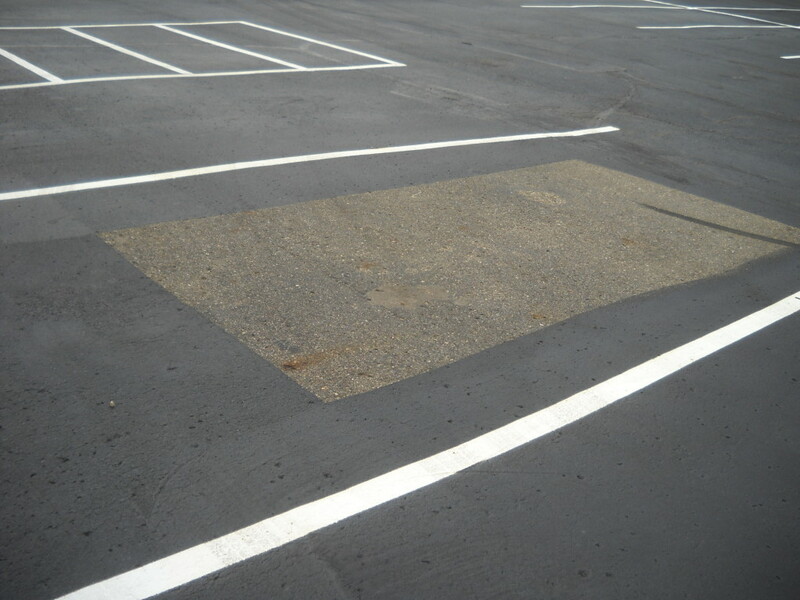 Whether your parking lot is brand new or newly resealed, line striping is the finishing touch. Our lines are straight, even and durable. We do crosswalks, loading zones, aisle marking, fire lanes and more.